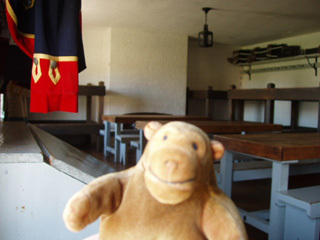 "I'm not sure these are fit for a monkey"
Mr Monkey found the barracks a little bleak, though as each room housed up to 32 men, women and children there wouldn't be much empty space when the fort was used in real life. One barrack room has low beds and the other has bunk beds and tables. 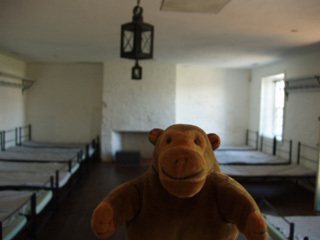 This is to show that the arrangements of these rooms changed though the 19th century, as the living conditions of the enlisted men were improved.